Our new bonus page will make it easier for entrants to take action on your bonus entries — like following your social accounts or clicking to your site. 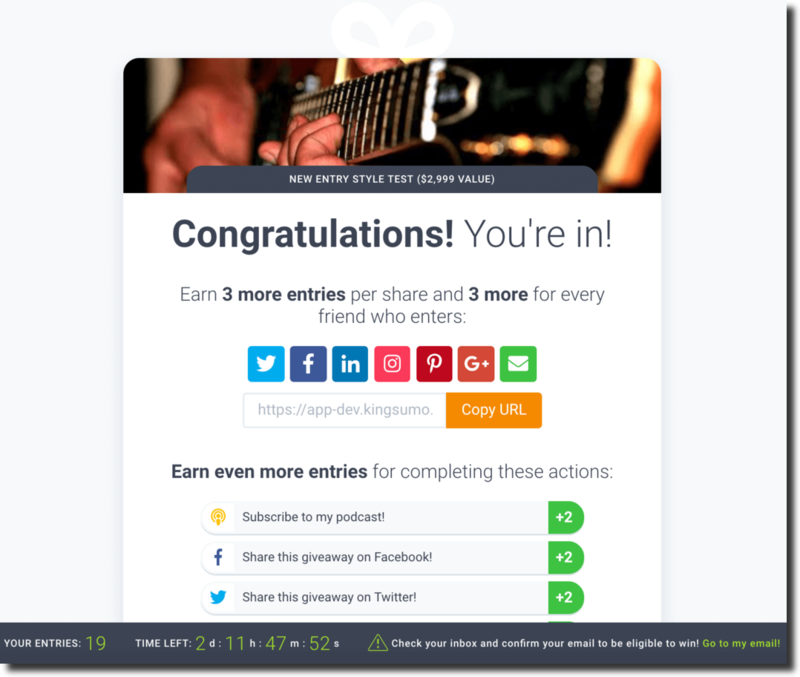 Plus, an simpler bonus entry page means more people sharing your giveaway. The new bonus page is coming soon. We cleaned up and sorted the bonus entries in your admin dashboard. 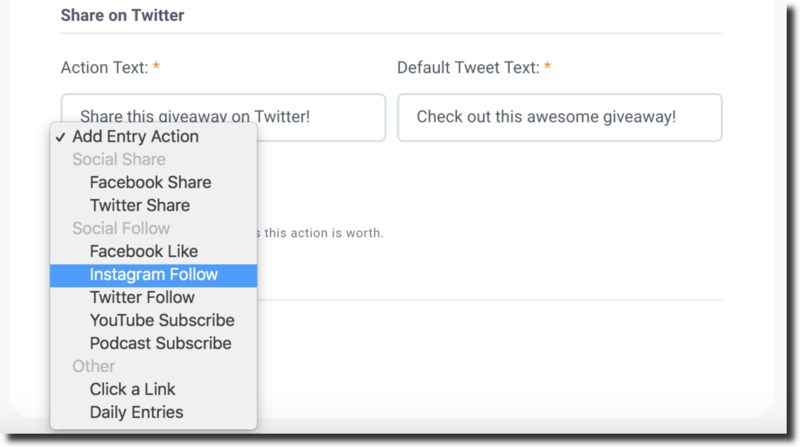 This makes it easier for you to pick which bonus entries you want to use — so your giveaway can go viral. 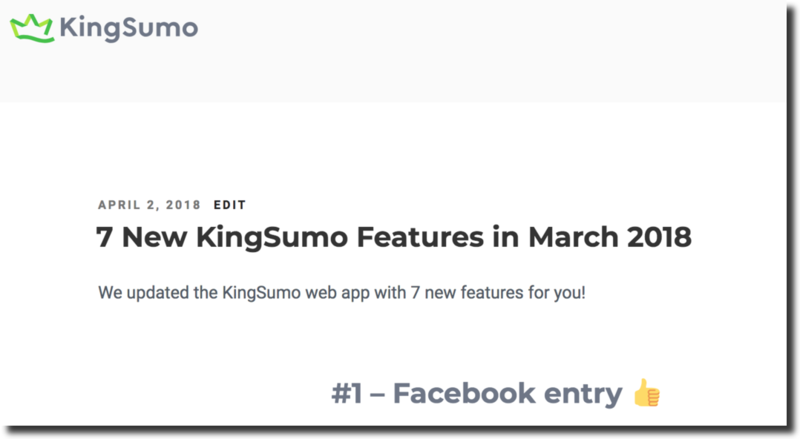 We created a new blog to share our latest KingSumo web app updates with the world (and you’re reading it right now!). 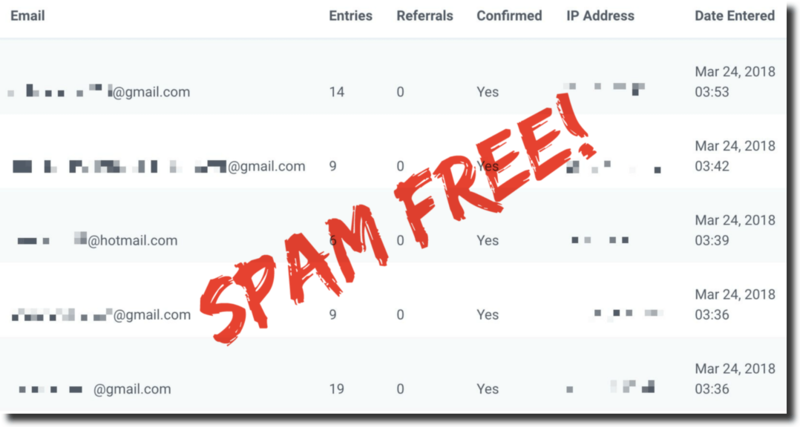 Plus, we’re going to start sharing our favorite KingSumo tips, strategies, and step-by-step guides on this blog to help you run more successful giveaways. Are you hoping for something different? Or are you not seeing this when you share your giveaway? OK got it to work put a larger image and then debugged the url on FACEBOOK to rescrape ..all fixed. MAYBE a thought would be able to define the share image were it could have added graphic or wording for news feeds say WIN! or a value tag what ever we wanted if you get what i am saying? FANTASTIC service KINGsumo… i love it and has taken out all hell i was doing that drove me nuts with other paid solutions. I will be upgrading to your monthly plan soon. thanks. And so happy to hear you’re enjoying KingSumo. We <3 you. Run your own viral giveaway!